A chance for you to meet our Team, and put faces to names. Susanne is a Community and Voluntary Sector Co-ordinator. If you need a speaker for a community event then look no further! People affected by loneliness and social isolation in Norfolk can now turn to a comprehensive range of new services for help and support. We are pleased to let you know that the first draft of our strategy for adult mental health has just been published. Many households and businesses across Norfolk still cannot receive broadband by conventional means and even those with a fibre to the cabinet (FTTC) connection still experience poor service. 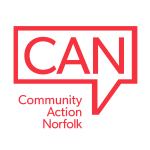 Social Isolation services have been commissioned across the county by Norfolk County Council and are open to people over 18, whose primary issue is loneliness. Living Paintings create and publish “Touch to See” books for blind and partially sighted people of all ages which are lent through a postal library. Social Prescribing services have been funded across the county to help people over 18 to improve their health and wellbeing by providing support and advice, beyond, or as an alternative to, medical intervention.